Professors of color at Indiana University (IU) contacted the FBI after their office doors were littered with fliers from a white supremacy group. The fliers were “posted under cover of darkness” by a group that identifies itself with white supremacy, according to a statement released on Monday by IU’s Provost and Executive Vice President, Lauren Robel. “We must anticipate the need for a more sustained campaign, with respect to which ongoing university support will be critical,” Geyh said. In her statement, Robel alluded to the fact that the white supremacy group that posted the fliers in their school also posted similar flyers in as many as 30 universities across the country, including universities in California, Georgia, Illinois, Massachusetts, Texas and Washington,. While Robel did not identify the group, “Identity Evropa” has identified itself on Twitter as the group behind the fliers. "While you watched the Superbowl [sic], Identity Evropa took to Indiana University's campus to advocate for our people," the group said on Twitter. 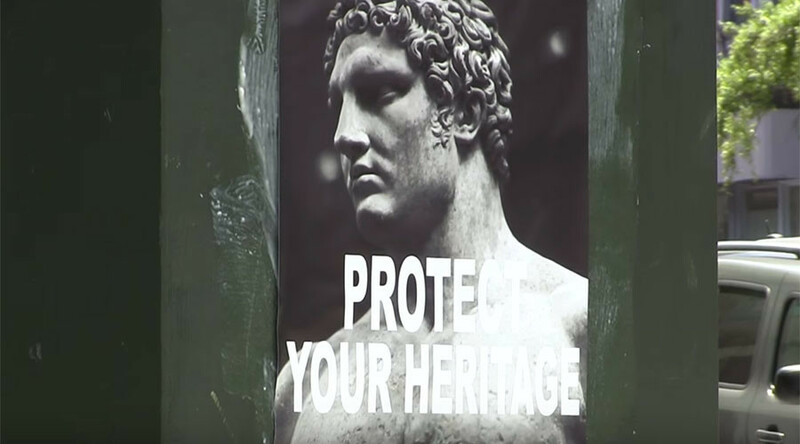 Identity Evropa also claimed to have posted fliers on campuses across the nation, including all the states that Robel mentioned. Identity Evropa describes their group as a "generation of awakened Europeans" who feel their culture is under attack. “In a time when every other people are asserting their identity, without action, we will have no chance to resist our dispossession,” Evropa wrote on their website. Nathan Damigo, a former leader of white nationalist hate group National Youth Front (NYF), founded the group in 2016. In September, Damigo announced #ProjectSiege, which encourages activists to talk with fellow students about the “cultural Marxist narrative” propaganda that their teachers were forcing upon them. The group also advocated putting up fliers and stickers to garner recognition for the group and to let potential applicants know where other members were located. “Once our network is large enough, the threat of being ‘outed’ or ‘coming out of the pro-white closet’” would be minimized, Damigo told the Daily Beast. “Anti-white intimidation will become near impossible. From there, the future will be ours,” he said. In November, after the presidential election was over, RT's Alexander Rubinstein interviewed Damigo, and asked him what "identitarian" meant to him.